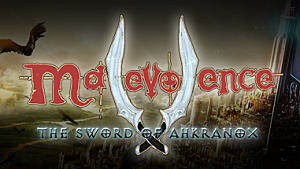 The new magic system of Malevolence: The Sword of Ahkranox is one of the most anticipated features to be implemented in the game. 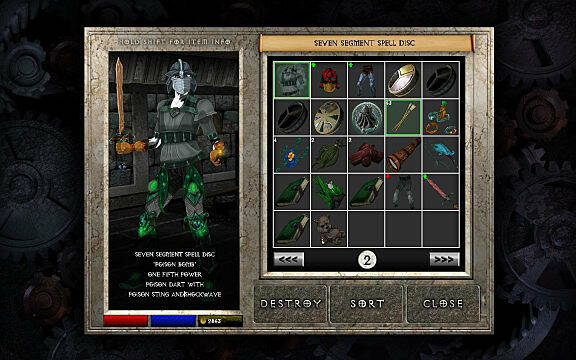 It allows players to craft their own spells using spell discs and spell gems. With so many combinations and different gems all with varying effects, it can be quite a complex mechanic to come to grips with. With this guide, we will cover how to craft spells, how the spell discs work and how each of the spell gems affect a spell. 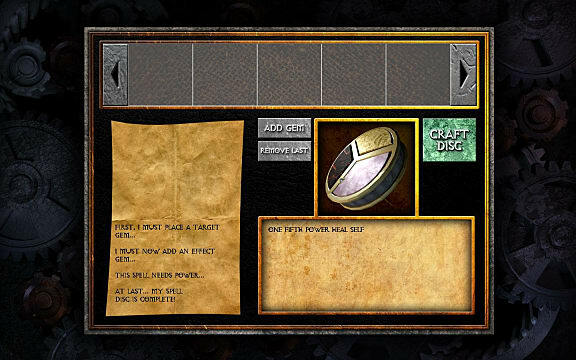 In order to craft a spell, you will first need a spell disc along with a number of spell gems. At the start of the game, you will have one three-gem spell disc along with the spell gems to craft a healing spell. 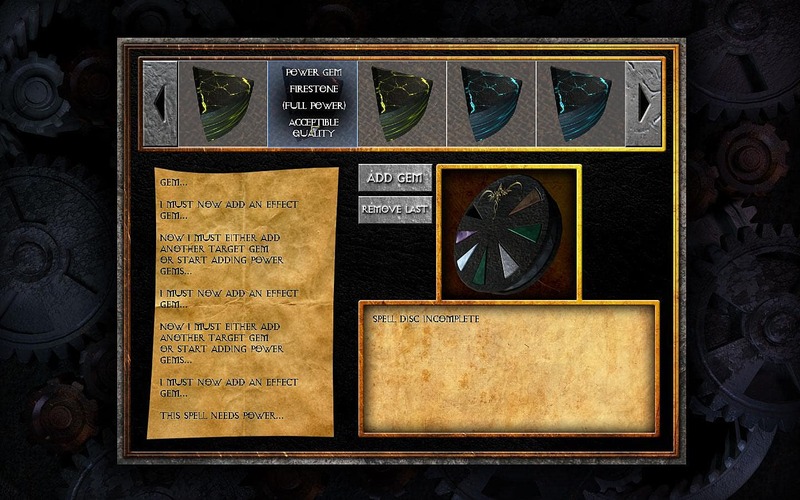 Note: If you choose the mage option when talking to Clergyman Al-aeks at the beginning of the game, you will receive the spell gems for a fireball spell. For details on such options at the beginning of the game, see our Getting Started guide. In total there are currently three different sized spell discs in the game along with there being three sizes of spell gems to fit each of the discs. The spell discs come with 3, 5 and 7 slots. 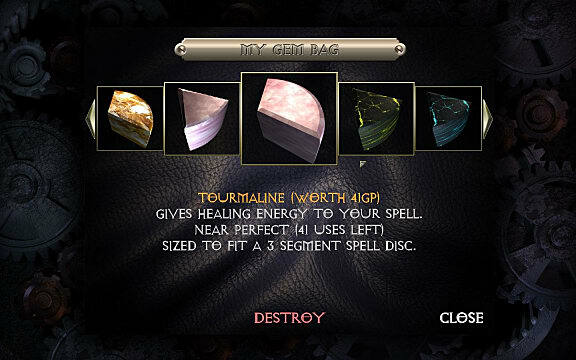 The more slots, the more gems you can place into the disc, resulting in more powerful spells with multiple effects. When crafting a spell disc, you must first choose the type of spell you want to cast with choices including poison, fire, lightning and so on. 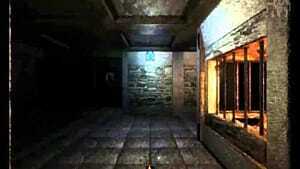 The next gem represents how the spell is cast such as it being a projectile, a touch spell or a spell that casts on the floor in front of you as a few examples. The third gem represents the power of the spell which can be one-third, two-thirds or full-power depending on the gems you have available at the time of crafting. 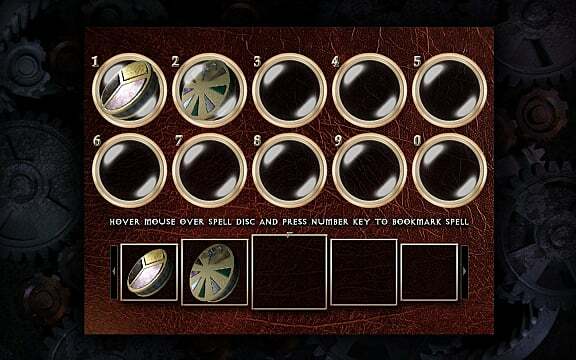 In a five slotted spell disc, the 3rd and 4th slot will act the same as the first two, allowing the two spell effects with the one spell disc. The same applies to 7-slotted spell discs with the 5th and 6th slots allowing for three spell effects at once. You will also notice that all gems have a wear and tear rating, such as worn, near perfect or perfect. This represents how close the gems are to breaking, and they will eventually break after so many uses. Perfect gems are the only spell gems that will never break but are rather rare. Due to this, it is important to not overuse your spells or use them recklessly. Otherwise, you will find your spells wearing out very quickly. This is essential to making the most out of your spell gems. Each spell effect works differently depending on how it is cast. If you are careless and not paying attention, it is easy to place an enchantment that will harm you instead of the monster you are facing. Here is a list on each of the spell effects. What type of spell these will cast depends on the target. Here is a list on each of the target effects and how they work. Poison + Self = Poisons you for certain amount of turns. As you can see, the spell effects greatly change in accordance to who or what it is targeting, not to mention it can also backfire on you if you are not careful. Healing is a particular effect to watch out for. If you combine healing with the blast effect, for example, it will heal you but also everything else in it. If you have followed this guide, you will now be ready to craft and cast all forms of different spells to aid you in your quest to vanquish evil. We wish you the best of luck in the world of Ahkranox. May the sword watch over you, Chosen One. 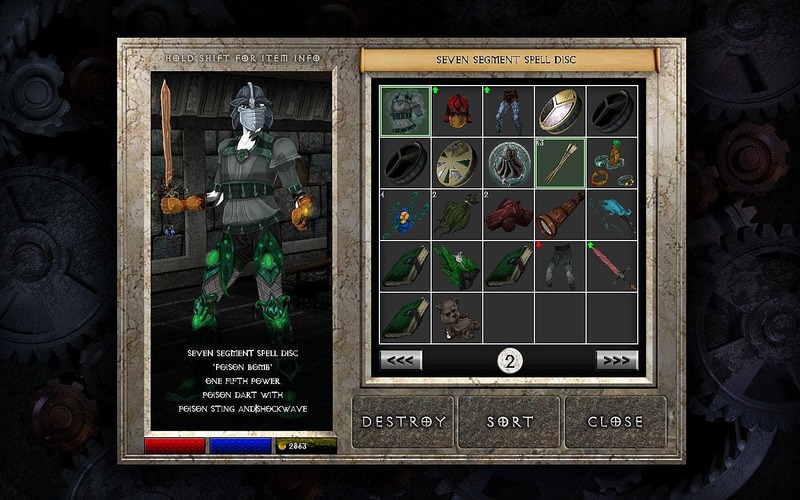 Have any other tips to crafting spells in Malevolence? Let us know in the comments below!